So, it's been a while. What an awful blogger I am! 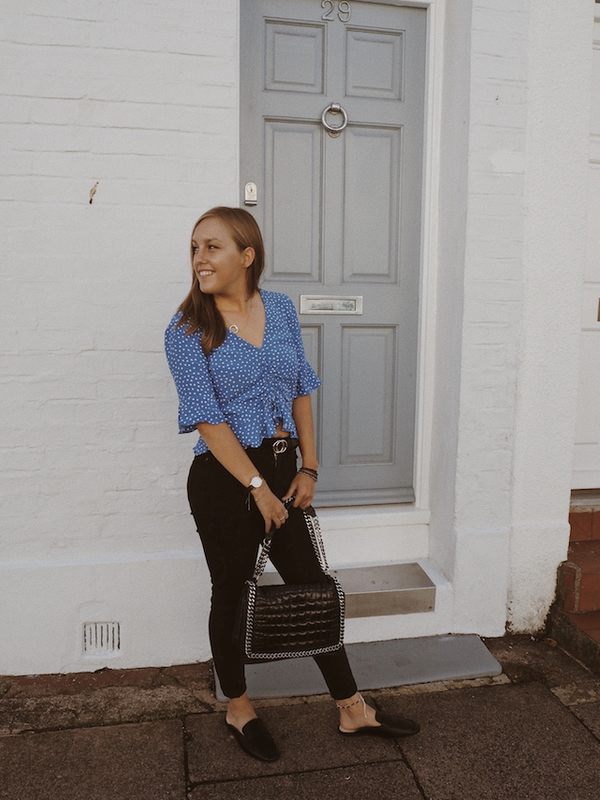 But life has been so hectic, I started my first ever full time job, working as a teaching assistant and I'm still finding my way with fighting sleep in the evenings and finding time to blog without said falling asleep. You might question why I'm so tired, after all don't teaching assistances only work 9-3. While that may be slightly correct (actual hours 8:30-3:15 ahem) I also run to another school to work at an after school club till 6 three days a week and in all honesty, working in a school is exhausting, they don't give holidays just for the kids! It's all worth it though because the work is rewarding the kids are amazing and absolutely hilarious, I dare you to find another job where you go and no matter what mood you're in you can't help but feel happy I know I have definitely found the job for me. But right now I am working on finding the balance because I want to blog and blog and along side that grow my engagement it really does make me happy doing this, so lets hope this is my comeback. I want to get back into posting at least every Wednesday and Sunday. However, I don't know if anyone has realised but I've changed the way I usually edit my photos. I am so totally inspired by the Scandinavian blogging vibe like Isabella and although I know my photos are a little orange and pretty far from the vibe that is my goal, so if anyone has any tips on editing in that style please do let me know as it would be so helpful! I also I hope it's not too big of a change that you still continue to like my content and enjoy the change I want to make. I also want to continue lifestyle Wednesday posts, however due to my editing change I'm not 100% I want to keep to the flatlay photos for those posts as I don't think it fits the style, but struggling to think of what photos I could take to go with it, there is only so many photos you can take in coffee shops and browsing shops and things before it all gets to similar so if you have any ideas again please do share! Let's not forget that this is an outfit post though. Aren't polkda dots making the rounds already this season. Yes I was too slow in getting this outfit up so this blouse isn't being sold anymore, however this is just as fabulous. 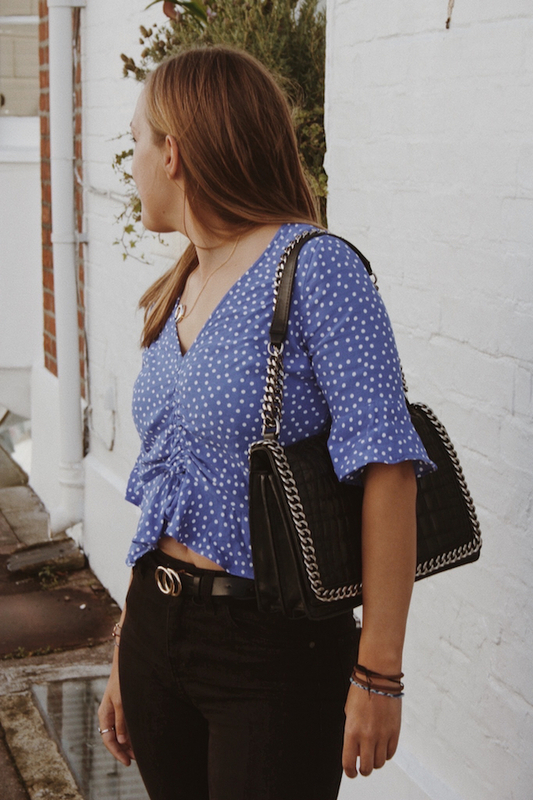 I loved the runch detail on this top and as a girl that struggles to find tops that I don't get bored of or feel blegh in after a couple of times of wearing it I feel this adds a little something to my wardrobe and breaks up the 100s of stripes I have in my wardrobe. Truth be told I've only worn these loafers for these photos, but that's because they are sooooo different from my normal footwear and when I look down I just think 'granddad, granddad' But when I look at these photos I think actually they don't look half bad and they were only £3 in primark! 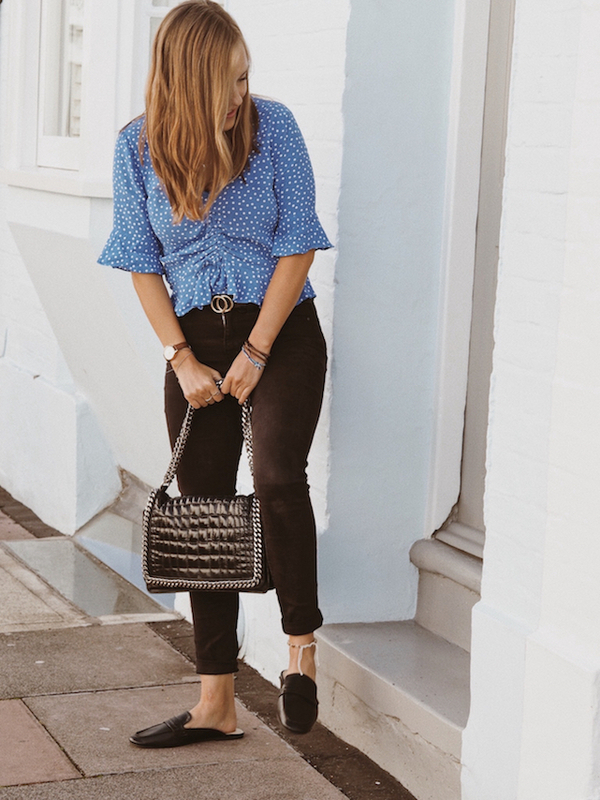 I just keep picturing them with blue straight jeans and I just need to get braver because all the bloggers wear the gucci and look bloomin' awesome! So let me know what you think of the change in photos, please be nice it is the direction I am going in and no it needs a lot of work to be desired! I hope you are all well! Ahhh I'm 100% the same with loafers - they'll always remind me of old men! I think I'm gonna have to take the plunge too though, they look fab! 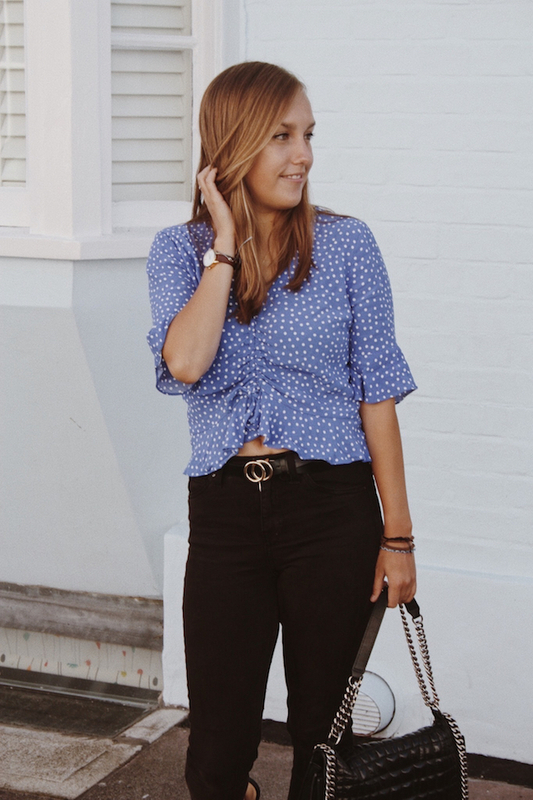 Such an a great look that polka dots adds volumes, great post Mz Beth! !